Your higher self is the essence of you. It is the real you or your total soul consciousness. Your higher self completes you and is in possession of your soul contract. It is like having access to your own instruction manual or help center. When you access your higher self, you can get the answers you need. You are always connected to your higher self, and you might think of your higher self as your voice of reason. Your higher self basically has all of the answers to all of the dilemmas and problems you experience in life. The higher self has a plan he or she is working off of, and if you can connect with your higher self, you can catch a glimpse of this plan. Your higher self watches over you continually. However, because you have free will, you often veer from this plan. When you find yourself off-track on the course of your life, your higher self can help redirect you. What Are Some of the Things the Higher Self Orchestrates? The higher self may have orchestrated your parents’ connection or even planned some of the struggles you have experienced in this life. The higher self is like your intuition or your inner GPS system. It is always available for you to access, but you may forget to use it. How Can You Connect to Your Higher Self? Try listening with your senses. Listen for little voices of intuition or reason. Try visually connecting with your higher self by imagining what he or she looks like. You could even imagine what his or her touch would feel like. Try journaling; this is a great way to get in touch with your higher self. Simply ask yourself a question in your mind or write the question down and ask your higher self for the answer. 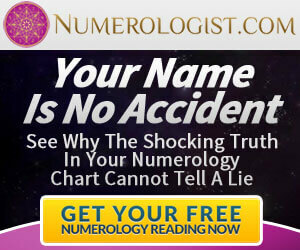 You may receive flashes of insight or be guided to start writing something. Meditating is a great way to get in touch with your higher self because meditation allows your mind to slow down enough so that you can make this connection. Visualize – Imagine yourself walking in a beautiful garden or other relaxing place having a conversation with your higher self. What Does My Higher Self Look Like? Your higher self may take many forms. He or she may look like an older, wiser version of you or he or she may look completely different. There is no right or wrong appearance. What Can My Higher Self Help Me With? Your higher self can help you with just about ANYTHING. Anytime you feel like you have gotten off track, your higher self can help steer you in the right direction. You may feel strange at first communicating with your higher self, but once you establish this connection, it can feel like a lifeline. Your higher self wants you to be happy and to feel connected. Your higher self is intimately aware of the lessons and goals you have come here to learn, and he or she will ultimately push you toward them. Your higher self holds all of your secrets and strengths; all you need to do to access these is to reach out in faith. You can establish a connection with your higher self by stating something simple like, “Higher self, please establish a connection with me; I will be open to whatever way you choose to present yourself.” Then just be quiet and listen. 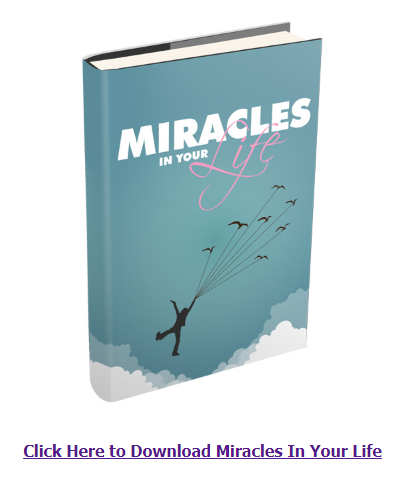 When you are open to the higher self’s guidance, miracles will begin to unfold in your life. Do you ever feel like no matter how hard you try, there’s always… ‘something’ in the way? If so, then you’re experiencing what’s called an energetic block. These blocks prevent the most well-intentioned, hardworking people from achieving the success they desire. 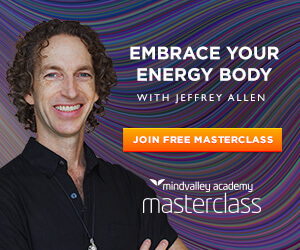 Luckily, Mindvalley and Jeffrey Allen have put together a FREE energy healing Masterclass — and you’re invited. 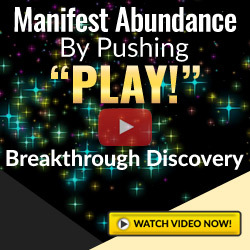 Attend this 60-minute training to realize which energy blocks are holding you back, and exactly how you can eliminate them to finally begin experiencing an abundant flow of love, success, and happiness in your life. >>> Sign up for the FREE Masterclass here!